The UN General Assembly hosts a much-watched high-level debate of world leaders each year but has struggled to make its work more substantive. The seventy-third session will likely be dominated by issues including nuclear disarmament, a global migration pact, prevention of noncommunicable diseases, and reform of the UN itself. 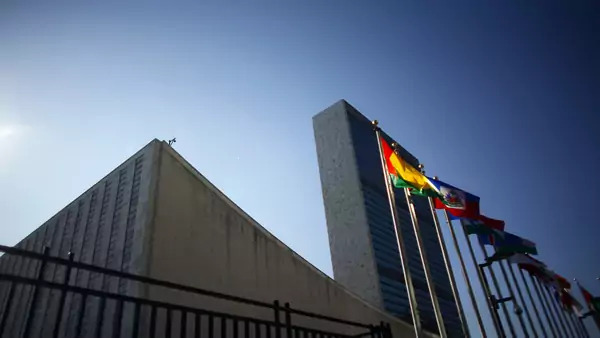 Since its inception, the UN General Assembly has been a forum for lofty declarations, sometimes audacious rhetoric, and rigorous debate over the world’s most vexing issues, from poverty and development to peace and security. As the most representative organ of the United Nations, the assembly holds general debate in the organization’s New York headquarters from September to December and convenes special sessions at other times to address a range of issues. The seventy-third session of the General Assembly opened on September 18, 2018, with heads of state and government convening for the general debate beginning September 25. U.S. President Donald J. Trump is scheduled to make his second appearance amid threats by his administration to slash funding to international organizations, including the United Nations. It comes four months after the U.S. withdrawal from the body’s Human Rights Council (HRC) and weeks after ending funding for the UN relief agency for Palestine. This year, the General Assembly will start with a high-level meeting celebrating the hundredth anniversary of the birth of Nelson Mandela. Additional sessions and high-level meetings will cover issues including the global fight against tuberculosis and the prevention of noncommunicable diseases, global pacts on migration and climate, and nonproliferation. The general debate is likely to address challenges posed by stalled diplomacy on North Korean denuclearization and the U.S. withdrawal from the Iran nuclear agreement. In sideline meetings, President Trump is expected to meet with leaders from Egypt, France, Japan, and South Korea, while French President Emmanuel Macron is expected to hold talks with Iranian President Hassan Rouhani. What is the UN General Assembly? The UN General Assembly is the only universally representative body of the United Nations. The other major bodies are the Security Council, the Economic and Social Council, the Secretariat, and the International Court of Justice. As delineated in the Charter of the United Nations, the function of the General Assembly is to discuss, debate, and make recommendations on subjects pertaining to international peace and security, including development, disarmament, human rights, international law, and the peaceful arbitration of disputes between nations. It elects the nonpermanent members of the Security Council and other UN bodies, such as the HRC, and appoints the secretary-general based on the Security Council’s recommendation. It considers reports from the other four organs of the United Nations, assesses the financial situations of member states, and approves the UN budget, its most concrete role. The assembly works with the Security Council to elect the judges of the International Court of Justice. What is the General Assembly’s membership? There are 193 UN member states, each with a vote in the General Assembly. The assembly’s president changes with each annual session and is elected by the body itself. The president of the seventy-third session is Maria Fernanda Espinosa Garces, Ecuador’s foreign affairs minister. She is just the fourth woman to hold the title. The president is empowered to enforce rules of procedure, such as opening debate, setting the agenda, limiting speaking times for representatives, and suspending or adjourning debate. Presidents in recent years have moved beyond the procedural role to invite UN officials to brief the assembly. This has sometimes aroused opposition from some member states. In 2011, for example, Assembly President Nassir Abdulaziz al-Nasser invited the high commissioner for human rights to brief member states on the Syrian civil war despite opposition from Syria’s backers. Membership can be contentious. Taiwan has been denied UN membership for more than two decades due to objections from China, which holds a permanent seat on the Security Council and considers Taiwan part of its sovereign territory. In 2018, Taiwanese officials visited New York ahead of the General Assembly to tout the island’s fulfillment of UN sustainable development goals, seen as part of broader efforts to join UN agencies. Palestine’s status at the United Nations has also been controversial. The 2011 General Assembly session was dominated by discord surrounding Palestine’s bid to become a member state, which stalled in the Security Council after the United States vowed to veto such a measure. At the 2012 General Assembly, member states passed a resolution, 138–9 (with 41 abstentions), to upgrade Palestine from a nonmember observer entity to nonmember observer state. Palestine and Vatican City are the United Nations’ two nonmember observer states, which have the right to speak at assembly meetings but cannot vote on resolutions. Is the General Assembly in need of reform? Yes, say many experts on the United Nations and leading donor nations. Efforts to revitalize the assembly’s work focus on increasing its power vis-à-vis the Security Council, as well as improving the quality of debate within the body. But the assembly has continued to resist deep- seated reforms, a reflection of the rift between its many members from the developing world, who want to retain a strong say in deliberations, and the wealthy nations that serve as the United Nations’ main donors. In 2005, Secretary-General Kofi Annan presented a report that criticized the assembly for focusing excessively on reaching consensus and passing resolutions that reflected “the lowest common denominator” of opinions. Michael W. Doyle, an international affairs expert at Columbia University, says the assembly is “an important institution that has never quite sorted out its role” in terms of being a truly deliberative and functional body and has “insufficient deliberation and not enough genuine discussion.” Doyle, who was an aide to Annan, says that the assembly could enhance its relevance by holding hearings with expert testimony. The assembly has made an effort in recent years to make its work more substantive and relevant. Resolution 59/313, adopted in 2005, established a more influential role for the assembly’s president by authorizing the position with the power to propose debates and expand the resources available to this office. Have members ever been punished by the assembly? The General Assembly has the power to censure states for violating UN Charter principles. In the 1960s, the assembly suspended the South African delegation from the United Nations because the country was practicing apartheid, in violation of both Security Council resolutions and international law. South Africa was readmitted in 1994, following its democratic transition. In 1992, after the dissolution of Yugoslavia, an assembly resolution denied Serbia and Montenegro the automatic inheritance of the former Yugoslav seat, requiring them to apply for UN membership anew and forgo participation in assembly deliberations. Israel was barred for many years from serving on UN commissions and panels because the slots are allotted according to membership in the UN’s five regional groups. Arab states had blocked Israel from membership in the Asia-Pacific Group, which includes other Middle Eastern states. Israel was made a temporary member of the Western European and Others Group in 2000 by the United States and some European countries. In August 2012, the General Assembly voted 133–12 to denounce the Syrian government for atrocities since the start of the Syrian uprising in March 2011. Thirty-three countries abstained from voting on the resolution, which was overwhelmingly backed by Western countries and their allies. Following Crimea’s March 2014 referendum to leave Ukraine and join Russia, the General Assembly adopted a nonbinding resolution declaring the referendum invalid and Russia’s annexation of Crimea illegal. The resolution passed 100–11, with 58 abstentions. What are some noteworthy assembly actions? Universal Declaration of Human Rights. In 1948, two years after the assembly convened its inaugural session, it promulgated the Universal Declaration of Human Rights, which contained thirty articles outlining global standards for human rights. A historic act, it proclaimed the “inherent dignity” and “equal and inalienable rights of all members of the human family.” As the chair of the UN Commission on Human Rights, U.S. First Lady Eleanor Roosevelt helped to draft and pass the declaration, saying that it “may well become the international Magna Carta for all men everywhere.” Human rights issues remain contentious, however, and the HRC continues to face criticism for, among other things, including countries with poor human rights standards and focusing disproportionately on Israel. ‘Uniting for Peace’ Resolution. In 1950, the United States initiated the landmark “Uniting for Peace” resolution [PDF]. It states that if the UN Security Council “fails to exercise its primary responsibility” for maintaining international peace and security, the General Assembly should take up the matter itself and urge collective action. The assembly has acted on this resolution in a handful of instances, including the Suez Crisis of 1956. Intervention by the United Nations in the crisis ultimately resulted in a cease-fire, troop withdrawal, and the establishment of the first UN Emergency Force, a peacekeeping force. The 2003 U.S. invasion of Iraq provoked calls from many organizations for the General Assembly to take up the issue and override the impasse of the Security Council, but the assembly did not do so. Millennium Declaration. For its fifty-fifth session, in 2000, the General Assembly was designated the Millennium Assembly. At a summit that year, Annan unveiled the Millennium Declaration. It set forth the Millennium Development Goals, a collection of “time-bound and measurable” targets for, among other things, reducing poverty, halting the spread of HIV/AIDS, and improving access to primary education. The development goals continue to be invoked by many governments and nongovernmental organizations to spur aid to developing countries. Significant advances have been made on education, infant mortality, and poverty. In 2015, the General Assembly set new goals for sustainable development [PDF]. ‘Zionism is Racism’ Resolution. The assembly’s most controversial resolution, passed in 1975, determined that “Zionism is a form of racism and racial discrimination;” yet, the UN Partition Plan for Palestine had approved of and helped to create the state of Israel in 1947. In his address to the UN General Assembly on the day the resolution was passed, Israeli Ambassador Chaim Herzog said, “For us, the Jewish people, this resolution based on hatred, falsehood and arrogance, is devoid of any moral or legal value.” He then tore a copy of the resolution in half. The resolution was repealed in 1991. In 2001, during the United Nations’ world conference on combatting racism, in Durban, South Africa, similar language on Zionism was introduced but later dropped. Eleanor Albert, Leo Schwartz, Alexandra Abell, Sebastian Pellejero, and Fatimah Alyas contributed to this report. The United Nations website publishes speeches, resolutions, and news for each General Assembly session. This June 2014 Congressional Research Service report [PDF] takes a look at membership in the United Nations and the role of its agencies.